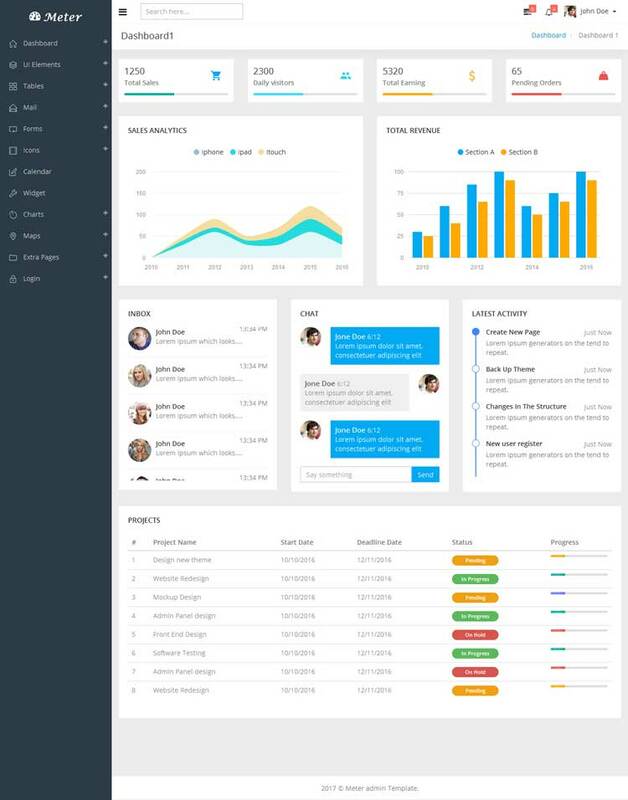 Meter is a fully responsive admin dashboard template built with Bootstrap Framework. The Bootstrap Framework makes it fully responsive to all screen resolutions and aspect ratios. Bootstrap is a library of user interface elements that will standardize the user interfaces of your admin template. Every single detail is carefully designed, in order to create a wonderful user experience. There are a lot of useful components, well organized and structured properly. It is easy to customize and coded in developer friendly.It can be used for all type of web applications like project management system, CMS, CRM for personal and business purposes.